I wholeheartedly apologize for that particular title, though I'm obviously not sorry enough to not use it. If you missed Jon Stewart laying the verbal smackdown on the Crossfire folks, and you can't look at the clip I posted earlier (maybe you're on dial-up, maybe you're at work, or whatever), you can read the full transcript here. 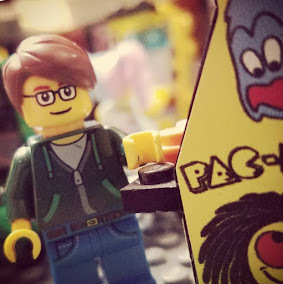 Wing Chun, mastermind of Television Without Pity, analyzes the Stewart appearance rather brilliantly on her blog, Hissyfit. And in over on Earth-Comics, photo referencing is just getting WAY out of control. You want proof? Here's the cover for The Pulse #7. Now, from a business standpoint, I can see making J. Jonah Jameson look like J.K. Simmons, the actor who portrayed the characters in both Spidey movies. It makes for a recognizable tie-in for people who have seen the movies but might not know the comics so well, and he looked so much like the comic book version of the character, anyway, that it's really not much of a stretch. But come on, Colin Farrell as Nick Fury?!?! It could be worse, I suppose, they could've gone with David Hasselhoff, but still... Jeez, ya think Marvel is trying to pitch a SHIELD film project to someone in particular? Or are an increasing number of comics artists, either through laziness or declining talent, completely incapable of drawing people without copying People Magazine photos? 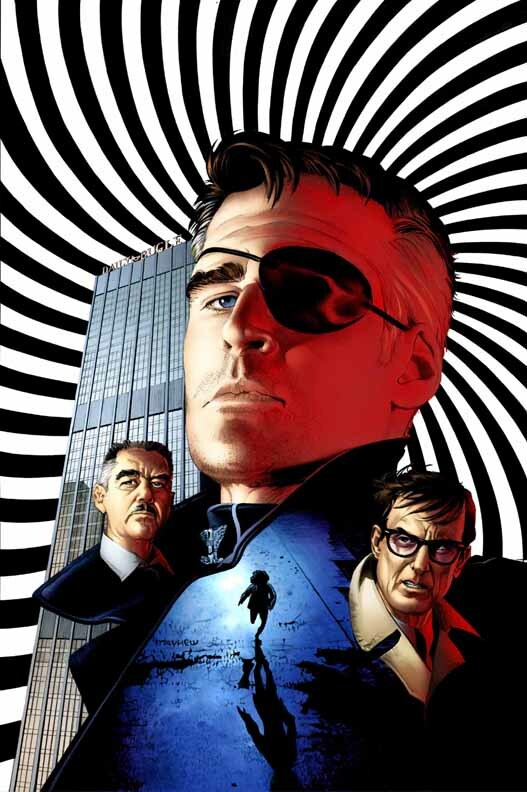 And besides, everyone knows that Nick Fury should look like a Banacek-era George Peppard. I mean, who's with me here?